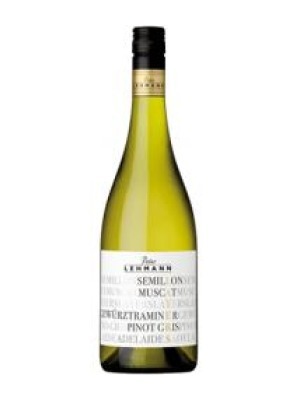 Peter Lehmann Layers White 2013 is a popular Australian White Wine available from TheDrinkShop in 75cl to buy online. Visit TheDrinkShop for the best price for 75cl of Peter Lehmann Layers White 2013 or compare prices on our other Australian White Wine products. Layers is a unique blend that delivers a highly enjoyable journey of discovery for the senses in each and every glass. Finely structured lemon tinged Semillon provides a wonderful backbone to support the soft floral aromatics of Muscat entwined with the delicate spice of Gewurztraminer. Pinot Gris introduces texture and mouthfeel to complete a wonderfully flavoursome wine. This complements a wide variety of seafood, white meats, salad and Asian inspired dishes. Best served chilled. Where to buy Peter Lehmann Layers White 2013 ? Peter Lehmann Layers White 2013 Supermarkets & Stockists. You can buy Peter Lehmann Layers White 2013 online in most retailers and find it in the Australian White Wine aisle in supermarkets but we found the best deals online for Peter Lehmann Layers White 2013 in TheDrinkShop, Amazon.co.uk, and others. Compare the current price of Peter Lehmann Layers White 2013 in 75cl size in the table of offers below. Simply click on the button to order Peter Lehmann Layers White 2013 online now.